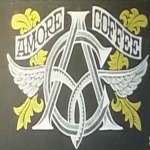 Amore coffee is located at the intersection of Annapolis St. and Smith ave. in West St.Paul. Meeting room booking: Please call us or stop by our store! Are you a starving artist or the next big thing? Amore is the place for you to play! We offer music opening every Friday and Saturday from 7pm-9pm. If you're interested, please email musicatamore@gmail.com for any music inquiries!